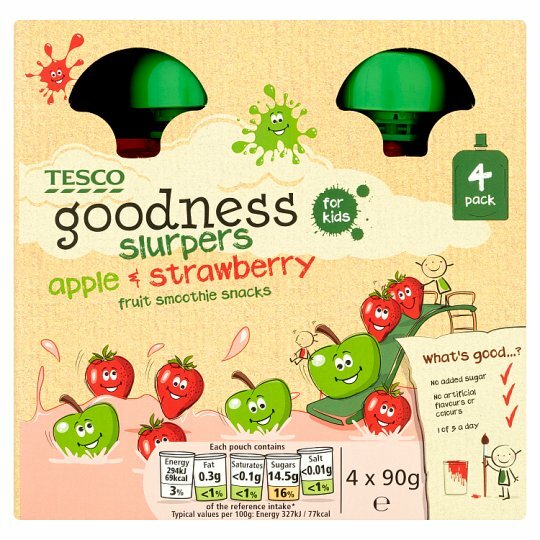 INGREDIENTS: Apple Purée (69%), Strawberry Purée (21%), Concentrated Apple Juice (9%), Concentrated Blackcurrant Juice, Antioxidant (Ascorbic Acid), Flavouring. Store in a cool dry place., Consume within 24 hours of opening and by date shown. This product has a small cap which makes it unsuitable for unsupervised children under 36 months.